Ivy League schools don't necessarily have the highest return on investment. In fact, some rather low-profile colleges offer students the greatest bang for their buck. Would you be surprised that some of them are public schools? Check out this article. Summarizing a new PayScale reports that shows some public colleges as having the highest annual percentage of return on investment, the article features some startling statistics on the incredible value of public colleges. Most of those schools prominently feature strong STEM programs. 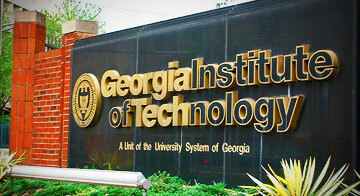 Engineering-focused Georgia Tech is the king of return on investment. Other public schools that offer great return on investment value to students include Cal Poly, Virginia Military Institute, Colorado School of Mines, and Texas A&M. Are you surprised that some public colleges offer greater long-term return on investment than the likes of Harvard or Cornell? We would love to hear your comments below.